At a time when lots of attention is being paid to inequality, poverty and the travails of the working class, it might seem callous to worry about the problems of the educated elite. 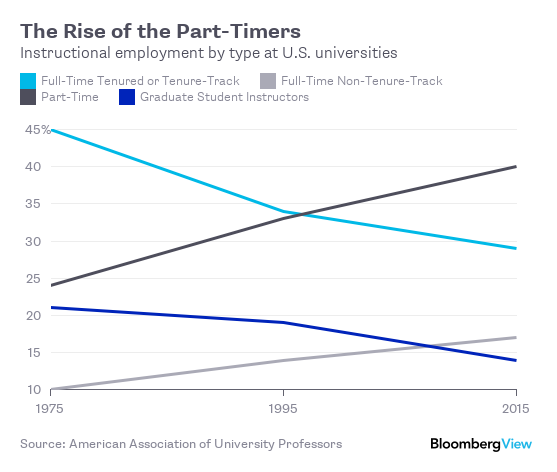 But there are important reasons to be concerned about the fates of recent college graduates. First, a healthy economy needs to make optimal use of talent — if smart people are funneled into useless or counterproductive tasks, their skills and the resources spent educating them will go to waste. Second, when educated people’s expectations are frustrated by a dysfunctional economic system, they can turn their formidable talent and energy toward disrupting that system, leading to social unrest. So when educated millennials talk about being fed up with their careers, policy makers ought to listen. A recent essay by Anne Helen Peterson gained attention for characterizing the millennial experience as one of “burnout,” describing the author’s own frustrations with a stymied academic career and crushing student loans. Ph.D. students spend their time ensconced in an academic environment, where success equals professorship. Their role models and advisers are all professors. But the resulting monomaniacal focus on academia often causes them to miss out on the burgeoning universe of rewarding, lucrative private-sector jobs, and instead consigns them to being low-paid adjuncts or precarious postdocs as their student loans go unpaid. Instead, their careers are taking too long to get started. In addition to the many years spent in classrooms rather than earning money, young people are forced to spend years navigating a bewildering jungle of jobs that didn’t exist 10 years ago — social media marketer, growth hacker, data technician. Other than hapless university career counselors, stripped-down job websites and online forums full of unreliable chatter, there is no one to help educated young people through the maze. 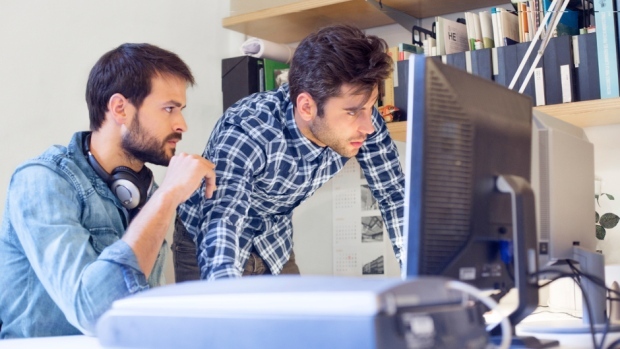 The knowledge that they might be missing out on better opportunities, and the frustration of not knowing where they should go next, might be one reason millennials have such low commitment to the organizations where they work. A 2016 Gallup survey found that 60 per cent of young adults said they were open to other job opportunities, and 55 per cent said they didn’t feel engaged at work. So there are things that can be done to help the burned-out millennials. The alternative — a disaffected army of smart, educated, angry young people — doesn’t bode well for the country.